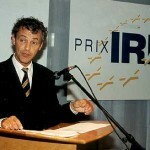 In 1996 a new European Media Award for Equality and Tolerance – the Prix Iris – was created to award media productions in the categories TV Fiction and TV Non-Fiction dealing with multicultural aspects of society in any of the European countries. “The Prix Iris is the first European media award that celebrates television programmes which promote tolerance and equality in our multi-ethnic societies. The initiative for the award came from the organizers of four similar prizes that had proved successful at national levels: the Dutch ‘ASN-ADO Mediaprijs’, the ‘British Race in the Media Award’ (CRE), the German ‘CIVIS Hörfunk und Fernsehpreis’ (ARD, WDR) and the Belgian ‘Mediaprijs voor een Harmonieuze Samenleving’. The main goal of the initiators of the Prix Iris was to stimulate programme makers and journalists towards greater awareness of the colourfulness of their society and towards making programmes that stimulate mutual understanding and challenge xenophobia, bias and racial discrimination. The media, and television in particular, are an indissoluble part of society and their social role is increasing. Since they contribute to the image of our society, and therefore also to the image of other cultures within our society, it is very important that viewers receive a balanced and accurate picture of society and the ethnic groups within it. “It should be a matter of professionality and a standard of quality for European broadcasting organizations to give a balanced picture of the multicultural society and to countervail and avoid prejudices and xenophobia-evoking emotions. In 1998 the IRIS was not awarded. 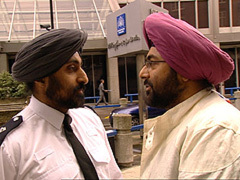 The third, 1999 edition of the Prix Iris – culminating in the awards ceremony on 18 May in Hilversum, the Netherlands – was the result of a co-production of the Netherlands Programme Service (NPS) and the Dutch National Bureau against Racial Discrimination (LBR). Over a hundred entries were received. The productions tackled a great variety of themes and entries were submitted by 21 European countries ranging from Southern Europe, Scandinavia and Great Britain to Poland, the Slovak Republic and Russia.The awards were presented to the winners by the Dutch Minister for Large Cities and Integration Policy, Mr. R.H.L.M. van Boxtel. The initiators of the Prix Iris expressed the hope that the award would create an annual forum for the exchange of new ideas and concepts of multicultural programming for directors, producers, writers and broadcasting companies. In order to further realize this goal the organizers of the 1999 edition aimed at a merger of the Prix Iris and the PRIX EUROPA. “Prix Iris: you are welcome, and will always be welcome at Prix Europa! The first year of cooperation has already confirmed the law of every good marriage: that two partners are better off together than they would be on their own. 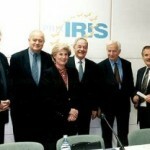 The first presentation of the Iris awards at the Prix Europa 2000 was definitely the culmination of a successful merger between the PRIX EUROPA and the PRIX IRIS. “At the end of this festival week I am happy to conclude that no better partner could have been found than the PRIX EUROPA, as it is one of the few media festivals in Europe where programme makers actually meet and discuss”. These were the words of Willem van Beusekom, General Manager of NPS Television before he presented the Iris awards to the winners at the PRIX EUROPA 2000 ceremony. On Saturday 20 October 2001, just one month after the attack on the World Trade centre in New york, the PRIX EUROPA award ceremony took place at the, Hochschule für Film und Fernsehen Konrad Wolf in Potsdam-Babelsberg. 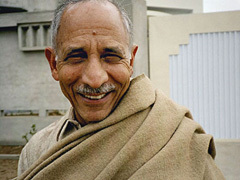 The awards in the category IRIS, Multicultural Television Programme(s) of the Year 2001 were presented to the winners by Mr. R.H.L.M. 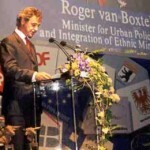 van Boxtel, the Dutch Minister for Urban Policy and Integration of Ethnic Minorities. “I stand here before you this evening with my head filled with images. Recent news footage of New York. Washington and Peshawar. Memories of discussions with people from all walks of life, Muslim and non-Muslim. and representatives of ethnic minorities. Impressions of emotions sparked off by successive events. Emotions that still persist. What is happening in the world today has touched all of us. The battle against prejudice and intolerance has not been won. This has become crystal clear over the past few weeks. That is why programmes like yours have to be watched. That is why you’ll have to make programmes like yours in the future, as you did in the past: -By searching for the human stories behind the ethnic groups that enrich our societies; stories that invite us to look again at our neighbours and ourselves -By making the unknown known to us -And, above all, by telling the stories in such a way that makes good television. Because that is also what this prize is about”. 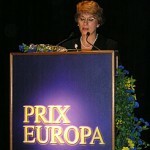 On Saturday 19 October 2002 at the PRIX EUROPA award ceremony in Potsdam Mrs. Beate Winkler, director of the European Monitoring Centre on Racism and Xenophobia (EUMC), announced the IRIS jury results and presented the IRIS Award for the 2002 best multicultural television programme of the year. ”We are living at a time when peaceful coexistence between various cultures cannot be taken for granted. Recently, we were all shocked by the terrorist attack on innocent holiday-makers in Bali, and the terrorist attack in America on 11 September 2001. Both attacks were seen as attacks on western civilisation. That is why EUMC strongly supports all initiatives that stimulate the mass media in Europe to take a stand against racism and discrimination. And that’s why I am very pleased to be here in Berlin at this illustrious media festival to present the IRIS award for the best European multicultural television programme of the year 2002″. 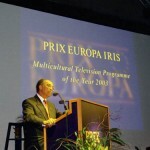 On Saturday 18 October 2003 at the PRIX EUROPA award ceremony in Potsdam Mr. Gilbert Wawoe, President of the board of the Netherlands Bureau against Racial Discrimination (LBR), announced the IRIS jury results and presented the IRIS Award for the best multicultural television programme of the year 2003. “The theme of migration, of cultural and ethnical differences now forms an integral part of the narrative structure in many productions. By the sheer number of appearances of immigrants, in fiction and non-fiction, the presence of the “token” black has become less obvious. In that way TV is at last beginning to reflect reality in in our societies. Programmes have also become more explicit in the way, that they seem to contribute to the unmasking of political correctness and the obliteration of taboos; also the ones that were used with the intention to protect vulnerable minorities in our society. In doing so we might risk to losing our balance again”. 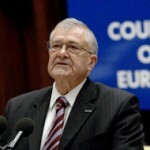 "Prix Europa stands for turning our continent into a continent of good neighbours. It seeks out the best television, radio and Internet productions each year – not only to award them but to support their distribution and use throughout Europe. If one nation speaks to another, one region to another, one city to another, one person to another – across borders – then the key media, television, radio, and Internet, play a decisive role and bear a responsibility to our future in Europe”. "I come from Birmingham in the United Kingdom, a city which counts more than 20 diferent communities, from Armenia to Yemeni. 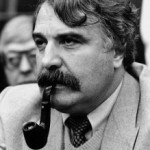 You will therefore understand that I have some difficulty in accepting the notion that multiculturalism in Europe is dead, as if it has been some kind of fashionable diet or musical trend..... Mulitculturalism is a fact of life which can be well managed, or less well-managed, but one which cannot be changed. The challenge is to create a society in which diversity is accepted, respected and encouraged." "We have seen the rise of extreme right-wing parties, the growing fear of Islam and the battles between police and children of immigrants in the suburbs of major French cities.... In Europe there's talk of the ' multicultural drama' . So against this backdrop, it is even more important than ever for programmes to be made which help to create a more tolerant political and social climate". 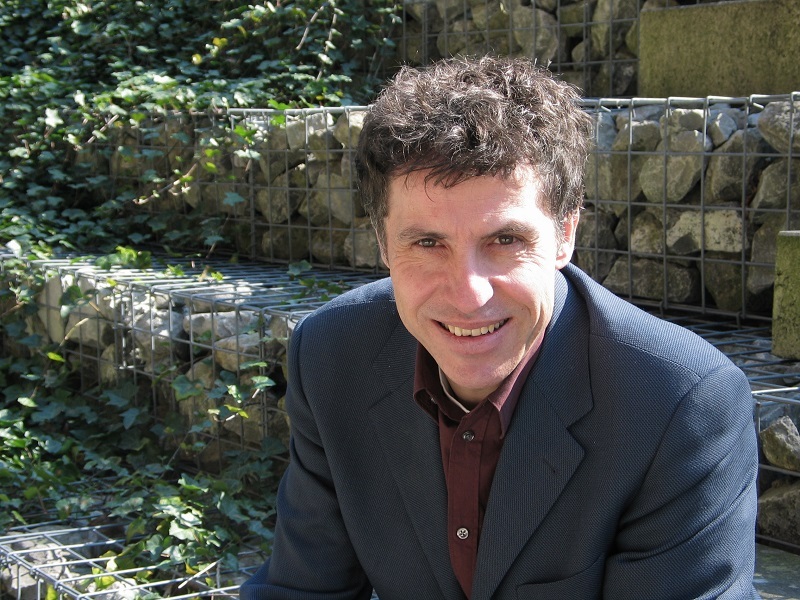 "The IRIS prize has now been awarded for more than a decade and it clearly shows that cultural diversity is not only a fact of life, but above all a creative opportunity. This year the IRIS award clearly shows that the European media are increasingly setting its sights on the multicultural society andthat broadcasters and independent producers everywhere are continuing to look for new formats not only to inform viewers, but luckily also to amuse viewers on migration and integration issues". The year 2008 was special for the NPS, as besides the annual celebration of the IRIS the Diversity Show was organized. On 6 November in Hilversum more then six hundred representatives from all over Europe gathered to discuss issues related to the urgently needed diversity in European broadcasting. 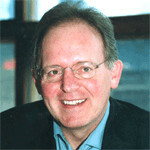 Statement by Frans Jennekens, Head of Diversity NTR. "Hopefully The Diversity Show as well as last year's IRIS were both a stimulus for European broadcasters to ensure that in the near future public broadcasting will mirror better present European societies as true multicultural societies. The Diversity Show set a new standard to the way diversity issues can be tackled." 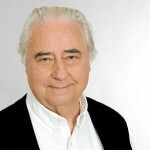 In 2009 the IRIS was awarded by Ruurd Bierman, Member of the board of Dutch Public Broadcasting (NPO) and Chairman of the Europvision TV Committee. "I deliberately call the IRIS 'special' because the programmes of this category deal with what I would like to define as THE social issue of these decades, namely how do European societies cope with the effects of immigration. In all European countries the debate about the multicultural society is becoming more and more central in the political arenas and in the media". "When in the year 2000 IRIS joined PRIX EUROPA as a new competition category for the Best European Multicultural Television Programmes, we all agreed that it would be a matter of a few years only, until IRIS would become obsolete. We all expected that the multicultural concept would be embraced by the European TV channels as part of their daily programming. We were far too optimistic. Today, IRIS is more important than ever. The essential issues IRIS stands for are needed at PRIX EUROPA. 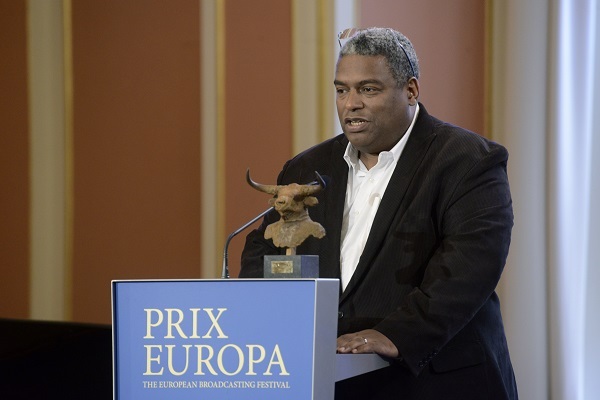 PRIX EUROPA and IRIS will continue to promote diversity issues in public media. Together, we will also continue our unique transparent and democratic jury system based on frank discussions among professional peers. And we will continue to hope that one day Europe might not need IRIS anymore". 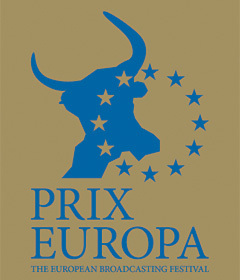 The 2011 and 2012 Prix Europa IRIS are awarded by Paul Römer, General Manager of NTR. "Over the past years IRIS has brought together over one thousand TV programmes that one way or the other have diversity as their subject. All these programmes shed light on a piece of the puzzle of the social impact of migration and they all reflect diversity as a creative challenge to Europe and the media in Europe"
The 2013 Prix Europa IRIS was awarded by Patrick Younge, Chief Creative Officer, BBC Television production, Jury Coordinator TV IRIS 2013. "The IRIS in particular benefits from the Prix Europa format, where all entries are discussed at length by all of the entrants and other observers. 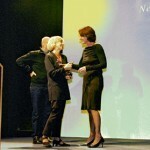 This process has undoubtedly accelerated the sharing of knowlegde and insights, and I believe it has made fimmakers braver in terms of the range of subjects tackled and how those subjects are presented to the audience""
The 2014 Prix Europa IRIS was awarded by Frans Jennekens, Head of Diversity, NTR. 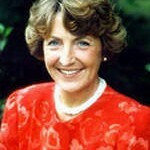 "The biggest challenge is not to get annoyed by all those people who say the multicultural society had failed. I think it was proven almost 70 years ago in Berlin that the monocultural society has failed. I don't believe in a nation that is closed or a civilisation that is finished. Our creative opportunity is the conflict, the development, the ongoing building of life. That is the essence of diversity. Public Service Media should take it more serious". 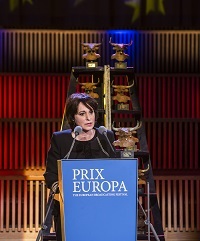 The 2016 Prix Europa IRIS was awarded by Shula Ryxman, Chairwoman of NPO. 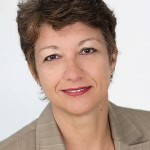 The 2017 Prix Europa IRIS was awarded by Elonka Soros, diversity and inclusion specialist in the arts and creative industries.